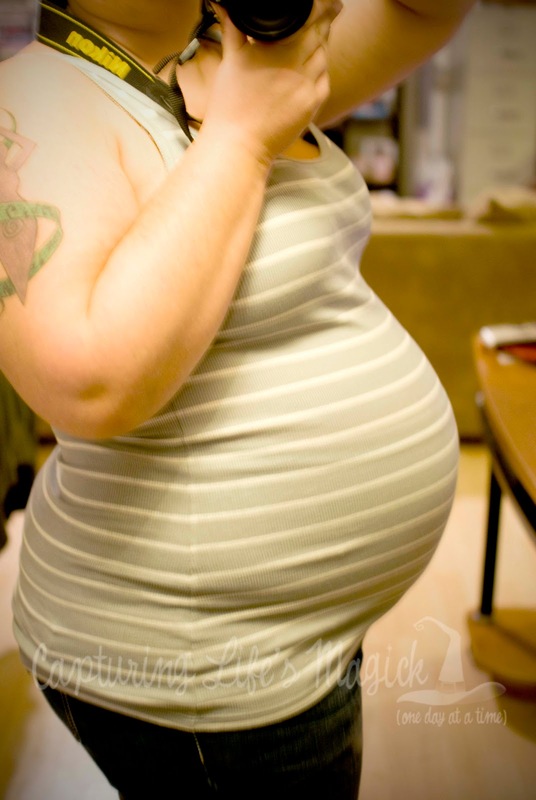 Wow, I can't believe I've already made it to 29 weeks! It seems like time has just flown by! Officially 11 weeks left to go! 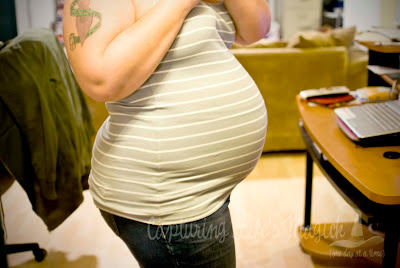 Last night my midwife came by for a home visit where she talked about the birthing process with Matt and I. It was very interesting. A lot of it I have already read or watched on You Tube. Matt on the other hand was full of questions. This is getting so real! I seriously CAN NOT wait to finally get to meet my little man! How big is baby: Your baby now weighs about 2 1/2 pounds (like a butternut squash) and is a tad over 15 inches long from head to heel. Maternity clothes: I am in maternity pants and some maternity shirts. I am still able to just wear regular tank tops as long as they are xxl or long in the torso. Otherwise they are almost to short. Sleep: It’s okay. Some days are better than others. So days I get to sleep a lot (6-8hrs) other days my insomnia kicks in from early on in the pregnancy and I am lucky to sleep at all. Best moment this week: Matt and I did our taxes finally and we are getting back more than we thought. I can’t wait for it to come in – lots of baby shopping! Belly button in or out: Still in. What I miss: Being able to sleep on my tummy; being able to have the occasional glass of wine. Energy. What am I looking forward to: Getting my income taxes back! Milestones: His muscles and lungs are continuing to mature, and his head is growing bigger to make room for his developing brain.